Northwest Boxer Rescue Fundraiser on Facebook! Now through Friday the 27th, for every $10 donated you get an entry to win a piece of donated work from our friend Amber at 5149 and a half art!! 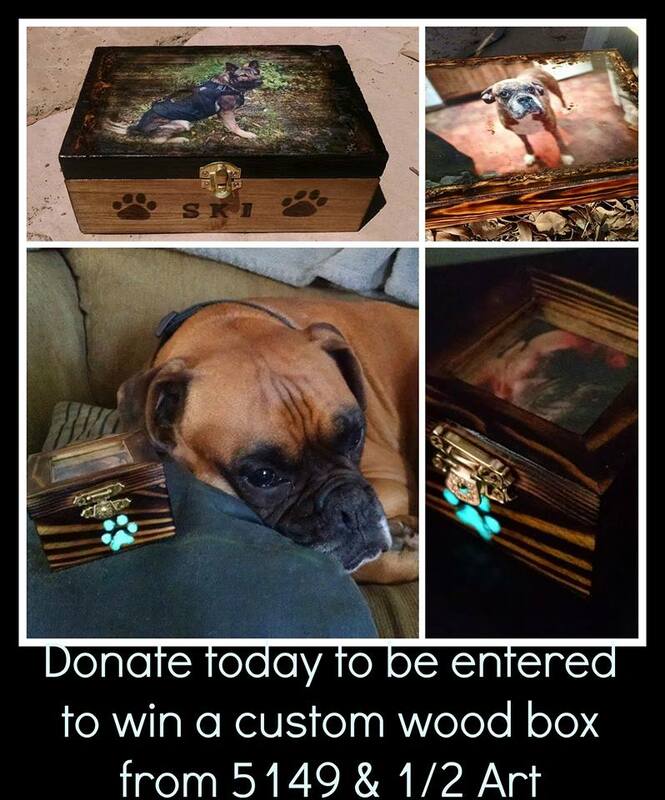 The first item is a custom 8″ x 5″ x 4″ box, with your personal image, and glow paws!